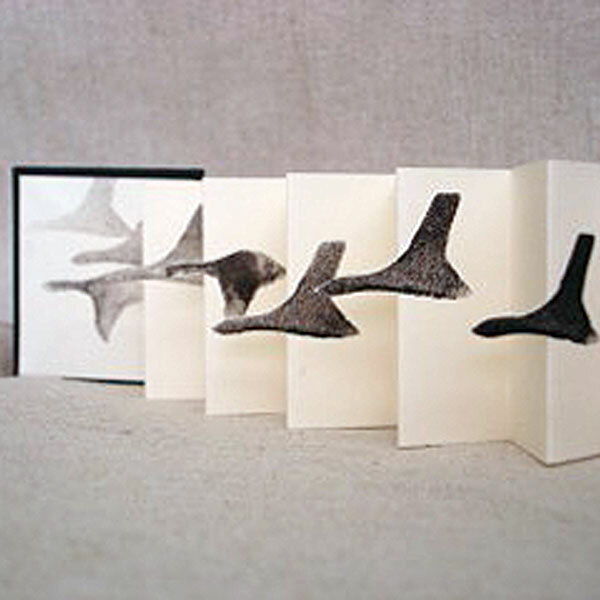 Judith Ellis began bookbinding by accident after an unexpectedly early cessation of full time work. 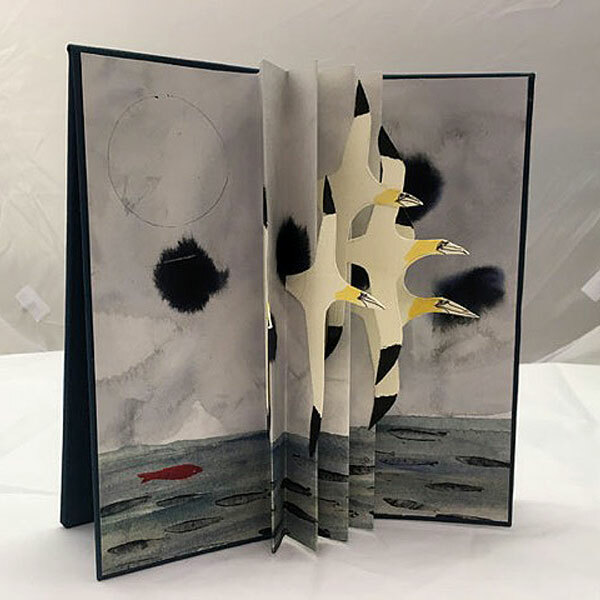 Her career as a bookbinder has since taken her on a journey from the making of new books to repairing old books, designing and making new bindings, and teaching. During this journey she has received tuition from Clive Bovill, Mark Cockram, Maureen Duke, Carla Dutta and Christopher Rowlett, all of whom have given of their time and knowledge with great generosity. 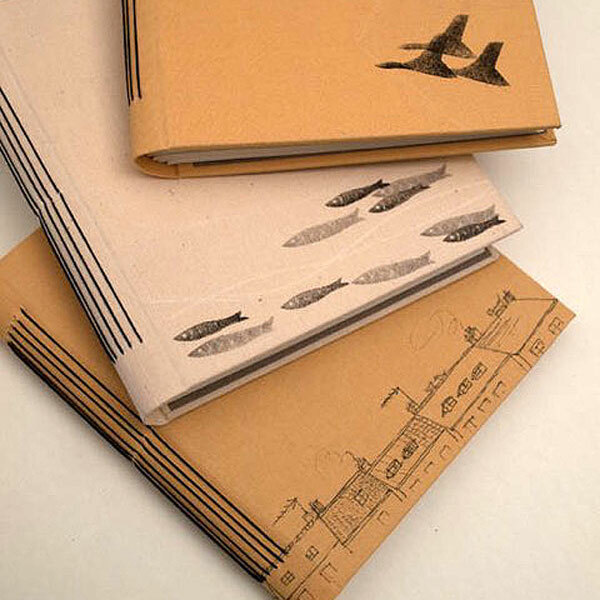 She was awarded joint first prize in the annual Designer Bookbinders Competition in 2004, and highly commended in 2007. 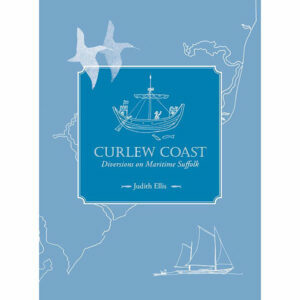 Judith will be signing copies of my latest book on the maritime past of Suffolk. Curlew Coast is the result of a prolonged sketching tour of the Suffolk coast exploring the wonderful maritime history of this beautiful coastline from the days when the Anglo-Saxons first sailed up its rivers to the arrival of the railway when the sailing ships began to give way to mechanised transport. It dips into many diverse areas such as the making of salt, ship burials, the early navigators and touches on the Hanseatic League and the origins of Trinity House. 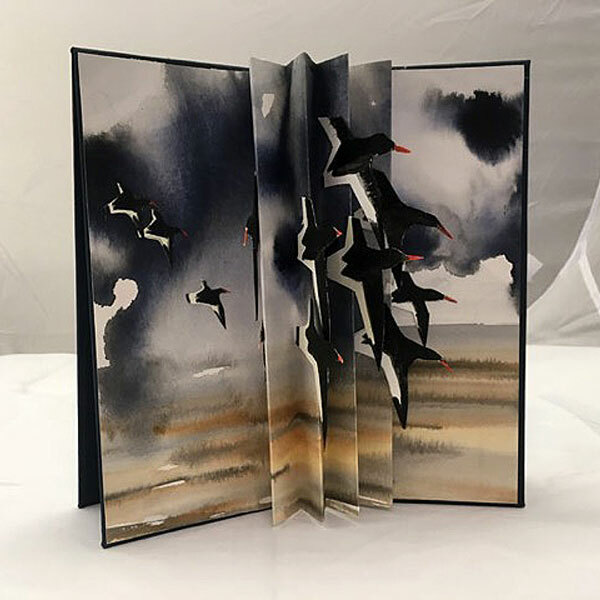 It is a sequel to Two Points East – a View of Maritime Norfolk which will also be on sale and the two books can be bought together in a presentation slipcase. 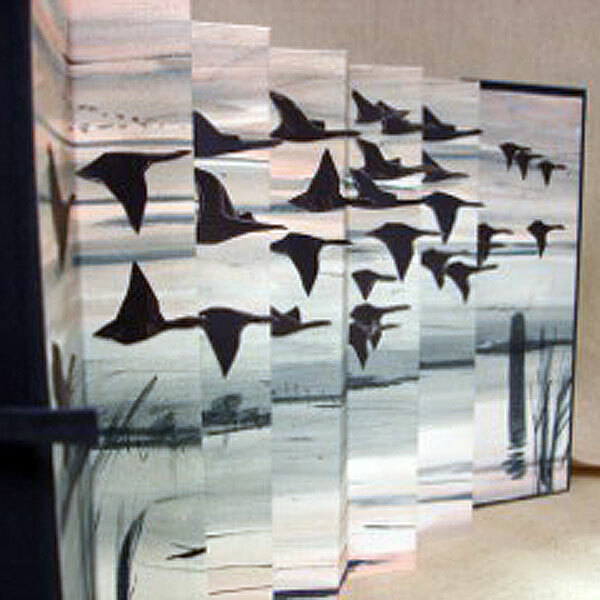 Each course teaches a different binding all of which can be done without access to any specialise equipment. 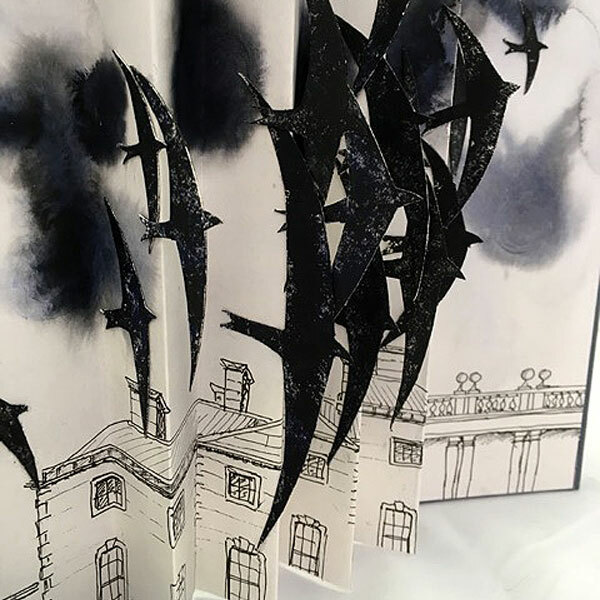 All of them lend themselves to artistic input and innovation, but equally can be used for rebinding existing books as some of the structures have been devised by conservators, for protecting precious books. 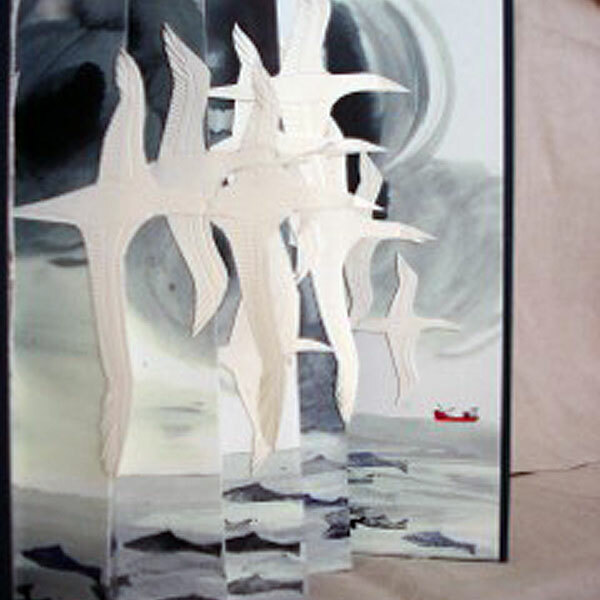 The courses are usually great fun, and take between 4 and 6 people. No previous experience necessary.